Two weeks ago in Toledo, Ohio, a man charged with a double murder caught a lucky break when his trial blew up over a single sentence from a prosecution witness. The judge declared a mistrial, and the prosecution elected to accept a plea to lesser charges to avoid having to retry the case. Ray Abou-Arab was on trial for deliberately starting a fire in a building he owned in order to collect an insurance payout. Two Toledo Fire Department (TFD) responders were killed fighting the fire, and under Ohio law this added charges of aggravated murder to those of aggravated arson. Considering that TFD had not had a firefighter death during a response to a call in over 50 years, the crime garnered extra attention and public interest. The fire occurred in January of 2014 but the complicated process of preparing a case kept Abou-Arab from going to trial for over three years. All that preparation and all that effort netted a seriously diminished result when Abou-Arab entered an Alford Plea to involuntary manslaughter and aggravated arson and received a sentence of 20 years’ imprisonment. Although Abou-Arab is 64 and thus likely to be incarcerated for most, if not all, of the rest of his life, prosecutors, the TFD, and the public felt he had gotten off easy. 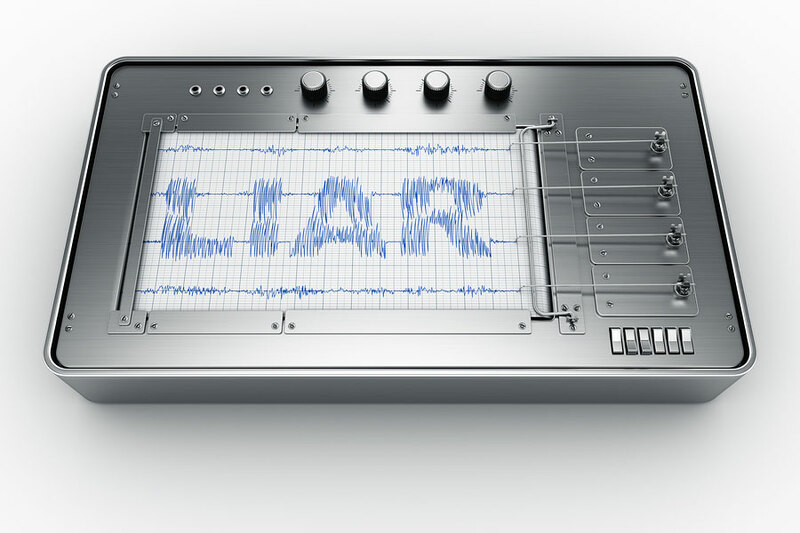 A polygraph – often called a “lie detector” – is a machine that is believed by the uninformed to be a reliable means of determining whether a subject is lying or telling the truth. Polygraph test results are generally inadmissible in court, but are widely thought by the public to be trustworthy indicators of veracity. The mere mention of a polygraph “failure” in the Abou-Arab case was enough to prejudice the jury and cause the judge to dismiss them and end the trial proceedings. Widespread portrayal of polygraph use in popular literature, film, and television crime dramas and talk shows has given it the appearance of accuracy and a reputation for reliability that is totally undeserved. The mere fact that it is inadmissible in criminal proceedings ought to be enough to disabuse us of that notion, but the legend persists. Further support is gleaned from the fact that CIA personnel and others in sensitive intelligence positions are subjected to polygraph tests before hiring and periodically thereafter (as shown in this bizarre, redacted document). Those who rely on polygraphs rarely refer to them as “lie detectors,” for one simple reason. They do not detect lies, and in fact do not purport to do so. What they do is measure heart rate, blood pressure, respiration, and sweating in subjects, analyzing resulting changes (or lack of changes) in response to particular questions. Since all these parameters are controlled by the involuntary nervous system, the theory goes, the subject cannot hide his/her responses, which thus are indicators of tell-tale stress. The machine reports only measurements, and its operator is believed to be able to divine veracity from these measurements. What is rarely mentioned is that measures of heart rate, blood pressure, respiration, and sweating are also used to evaluate the intensity of physical exercise. A polygraph can’t tell whether you are lying or doing push-ups. Polygraphers – the practitioners of this activity – are licensed in some States and usually undergo a two-to-six-month training course, but they are not asked to have any expertise in the subjects which are presumed to provide the basis of polygraphy, namely physiology and human behavior. Nevertheless, the American Polygraph Association (APA) confides that polygraph testing has scientific accuracy – 95 percent or more. Scientists will tell you otherwise. Although the APA touts “evidence-based” reliability, scientific studies find the accuracy of polygraph tests to be about the same as flipping a coin – fifty-fifty. In 2003, a National Academy of Sciences report found the majority of studies claiming to validate polygraphy were “unreliable” and “unscientific,” and produced a large proportion of false positives. Adding to the justification for scientific skepticism are claims made in the 1960s by CIA interrogation specialist, polygraphy instructor, and alternative-medicine proponent Cleve Backster that polygraphs attached to plants showed that the plants were responding in a sentient way to thoughts – particularly threatening thoughts – directed at them from the experimenter! The polygraph is about 100 years old, and its use in Federal court cases has been barred since 1923, yet it is still widely used in criminal investigations, and refusal to take a “lie detector” test is considered by most people an indication of guilt. The Council on Scientific Affairs of the American Medical Association issued a report in 1986 recommending that polygraph tests not be used in employment screening, and two years later the Federal Employee Polygraph Protection Act (FEPPA) outlawed such uses, except in a few instances, such as positions involving national security. The FEPPA prohibition applies not to just polygraphs, but also to voice stress analyzers, psychological stress analyzers, or “any other device (whether mechanical or electrical) that is used, or the results of which are used, for the purpose of rendering a diagnostic opinion regarding the honesty or dishonesty of an individual.” That is a pretty clear indication that the polygraph and devices like it are not to be trusted, and are, in the words of the late Senator Sam Ervin, “Twentieth Century witchcraft.” I might add that they are more often used for witch-hunting, and are about as reliable as the medieval methods employed in that business. If “lie detectors” are not scientific and not reliable, why are they still in use? Because some people want to believe that they have value. There are similar tests administered all over the world, and not just in primitive or superstitious cultures. In Europe, up to 90 percent of companies use graphology (handwriting analysis) to screen potential employees. Graphology is a pseudo-science that pretends to be able to make accurate judgments about an individual’s psychological makeup from the way s/he writes. That this is a load of codswallop is easily demonstrated by pointing out that, if attitudes and behaviors are evident in handwriting, then changing a person’s handwriting must change his/her attitudes and behaviors or validity is lost. Perhaps the most telling indictment of “lie detectors” is found in the response of the pro-polygraphy community to the appearance of Internet sites (and there are many of them) that provide instructions on how to “beat” polygraph tests. In 2013, an Indiana man was prosecuted and sentenced to eight months’ imprisonment for “threatening national security” by providing instruction on how to pass polygraph tests. Beyond any First Amendment considerations, one would think that if “lie detector” tests can be outfoxed, the best response would be to admit their unreliability, not to make it illegal to say how to outfox them. In my view, the response chosen is an open admission that polygraph tests are unreliable and ought to be abandoned. Previous Previous post: MALE OR FEMALE? THAT’S ALL?